»Uncategorized»Whoops! I forgot about that! As I get older I, along with most other people, get forgetful. Where did I put my glasses? What’s todays date? What’s her name again? But I didn’t think I would get half way through a posting and then forget all about it. If you read my previous post then you would have seen that I had a wander around Carlisle, camera in hand, looking for some interesting shots. 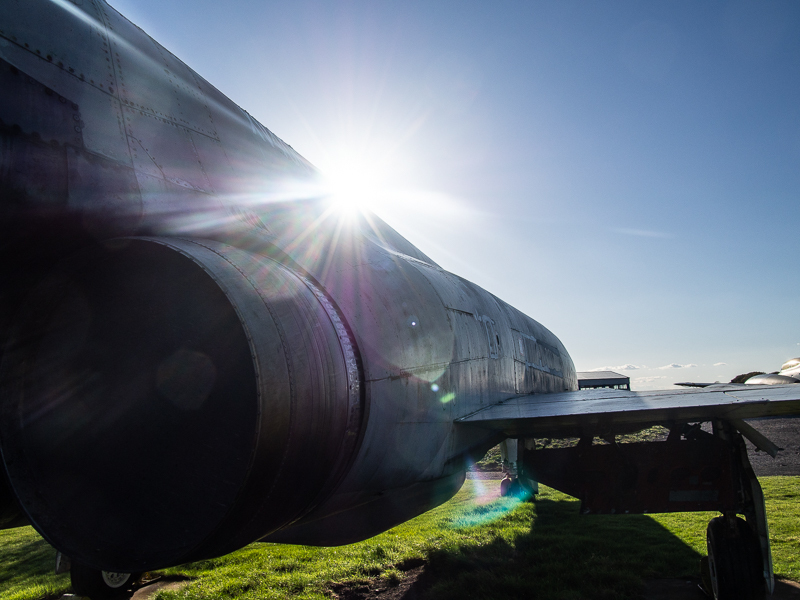 Well, on the way home I detoured past my favourite spot of Solway Aviation Museum to see the progress on the upkeep of their aircraft exhibits which have been having a lot of work done to them over the summer. 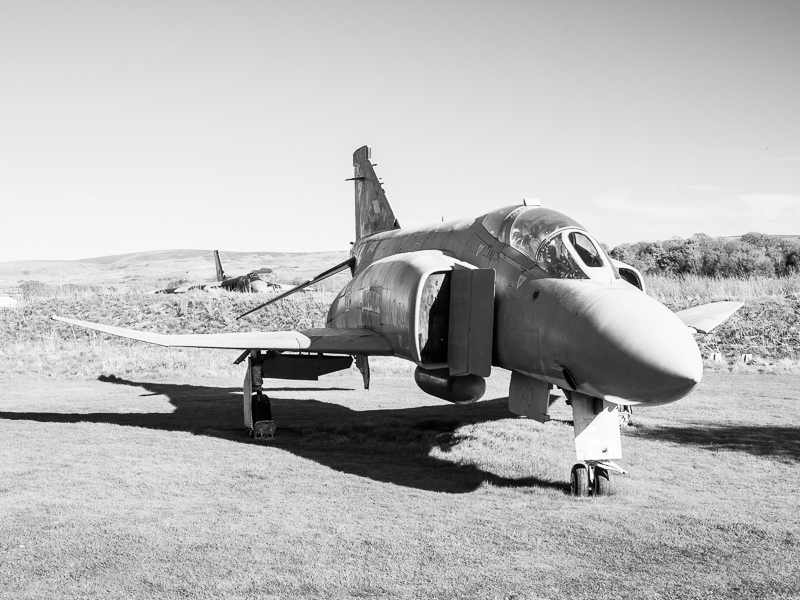 The Phantom, XV406, caught my eye. 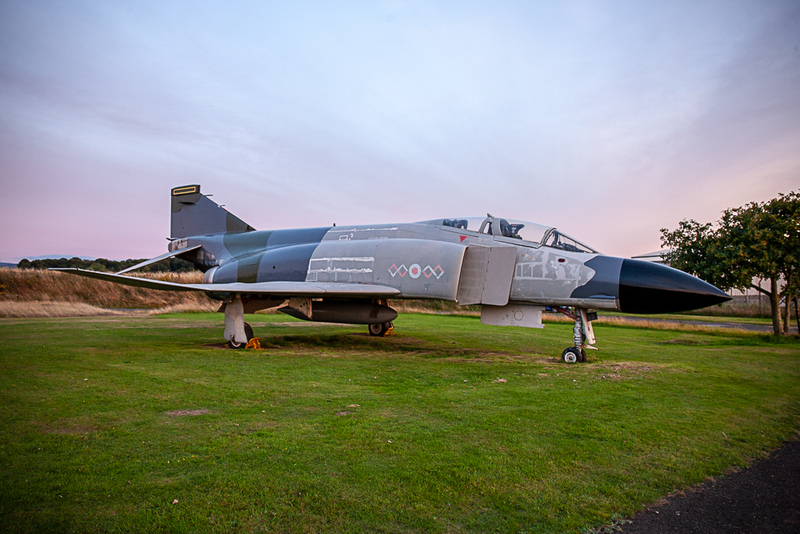 For some considerable time it has stood there in its old 111 Sqn all grey livery which was looking decidedly tired to say the least. Now it appears that it not only is having a repaint but also getting a new look as it reverts back to its Grey/Green camouflage livery. Nice. It should look pretty good when its finished. Imagine my surprise when creating the previous post when I realised that I had done the very same thing a month or so ago, uploaded the photos for the blog and……..forgotten all about it. Again I had been out ‘playing’ but I really had forgotten I’d taken these shots or started blogging them. I’m getting senile I think. 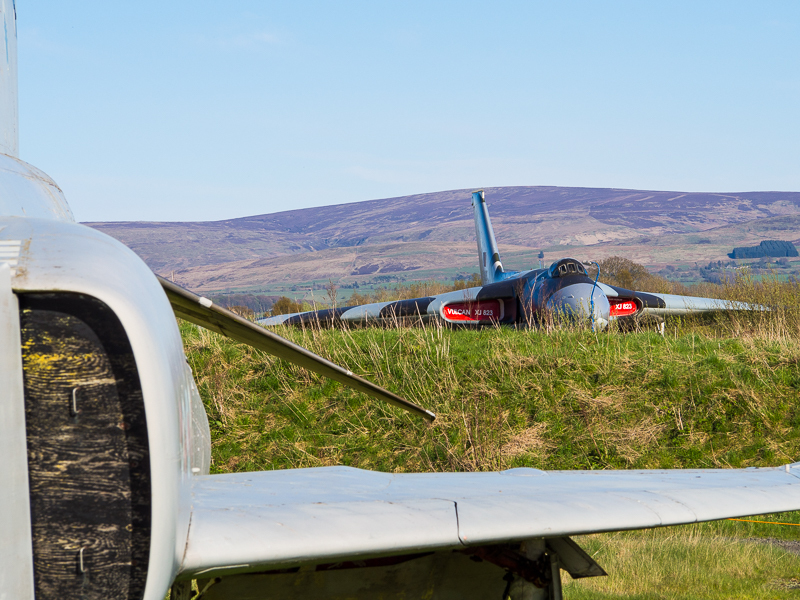 I now remember (funny how it all comes back just too late) trying to get shots of the Vulcan ‘over the shoulder’ of the Phantom. With it almost lurking menacingly in the background. 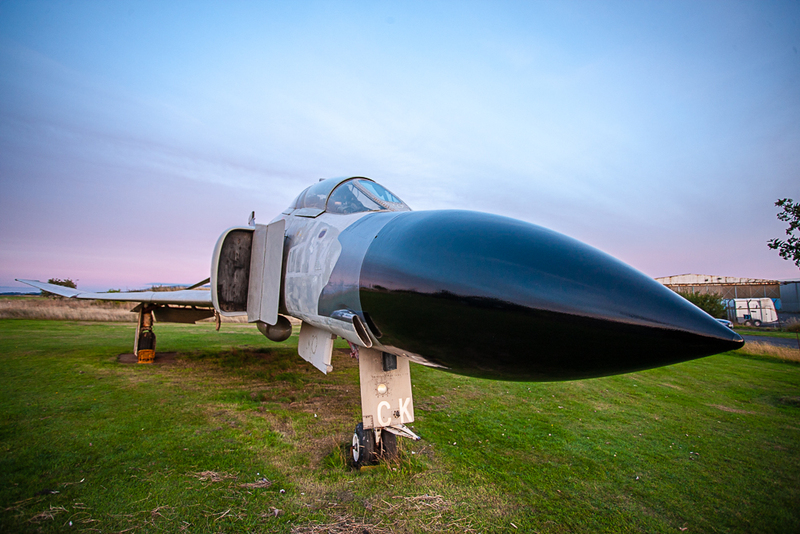 I seemed to have a particular interest in the Phantom that day as almost all of the shots seem to feature it. 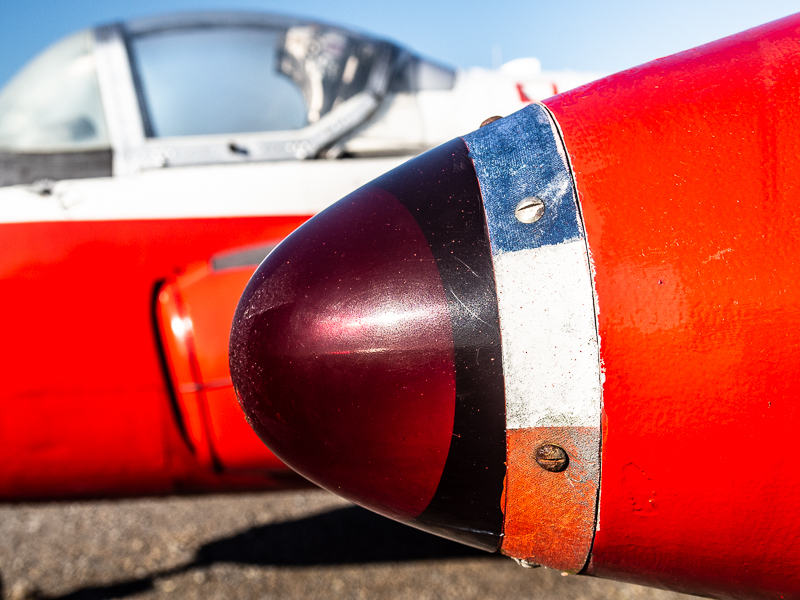 For an aircraft celebrating its sixtieth birthday (no, not XV406 but the F4 type itself) from its first service in 1958 it is still a very modern and impressive piece of equipment. Compare it to the Meteor or even (and I hate to say this) the lightning just beside it and it leaves them looking like relics. Yet the Phantom still looks as though it could be lined up and taken off for an operational mission intercepting Russian ‘Bears’ over the North Sea. As with other shots I take when playing with the camera. I tend to like to look at the unusual view, something which pleases my eye. No, they’ll never win a photographic competition, but those of you who have read my previous blogs will know that does not matter one bit to me. I’d swap my enjoyment over someone else’s critical report any day. I recently went to a photo show where several clubs were exhibiting members work. One or two pieces were simply stunning and really moved me. Most were interesting and well shot. But a couple looked as though my seventeen month old Granddaughter had taken them by accident as she picked up the camera. 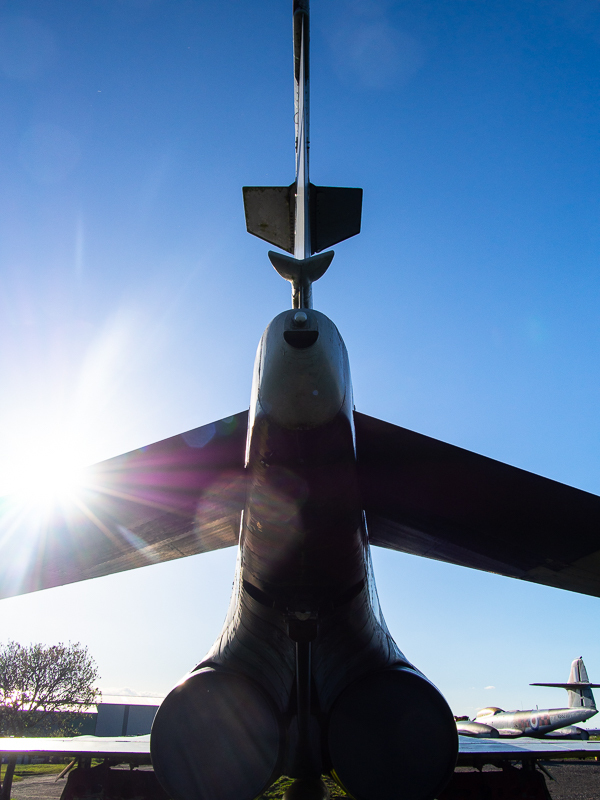 For the Final couple of shots I took a wander over to two of the other exhibits: the Jet Provost and the Meteor. As I said, it may not please the critics but it pleases me. I love this shot of a close up of the port navigation light on the JP with the cockpit behind. It all looks very 1950s, which of course it is, provoking a thought of an era past in the same way that a fin tail on a ’57 Chevy does in the car world. Last shot I uploaded was a close up of the Meteor NF14. 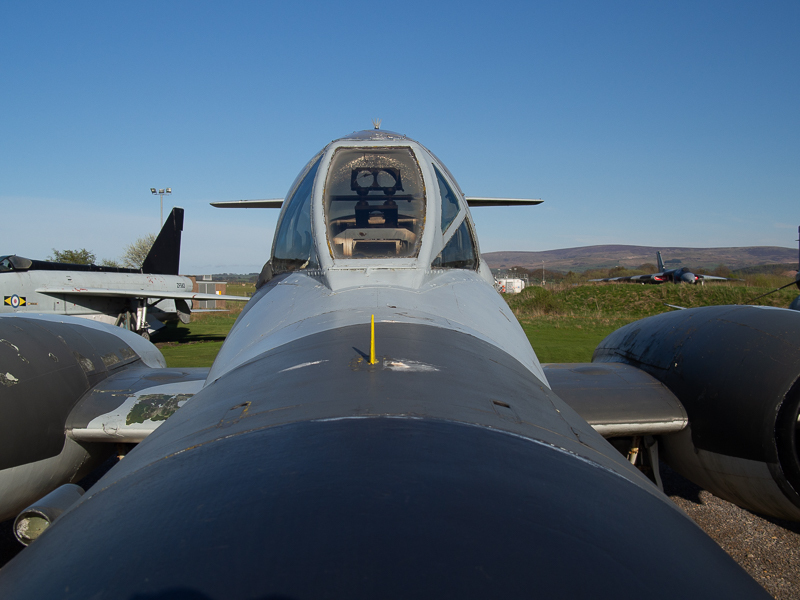 A night fighter variant with an uncomfortably long nose used to contain the RADAR system. Its one of those shots which always seems interesting at the time I’m taking it but I never really like when I see it afterwards. So I’ve put it up here why? Well, no idea really, I can’t remember but I obviously had a reason when I uploaded them so I have posted it now. Now, where did I put my car keys??????? ?